Enable this option you can prevent spammers from registering and posting. 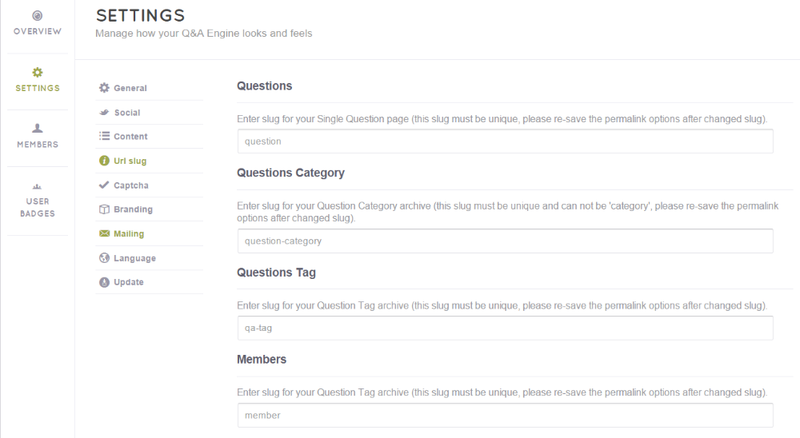 Note: If you are using the reCAPTCHA V1, unfortunately, it has been shut down since March 2018. Please make sure that you have updated our theme to the latest version. After the update, please obtain new reCaptcha v2 API for the feature to work by getting a new key with the link in the Setting section. You can create your own templates for Register Mail, Confirmation Mail, Confirmed Mail, Forgotpass Mail, Resetpass Mail, Pending Questions Mail, New Answer Mail, Report Mail, Best Answer Mail, Ban User Mail, Inbox Mail. 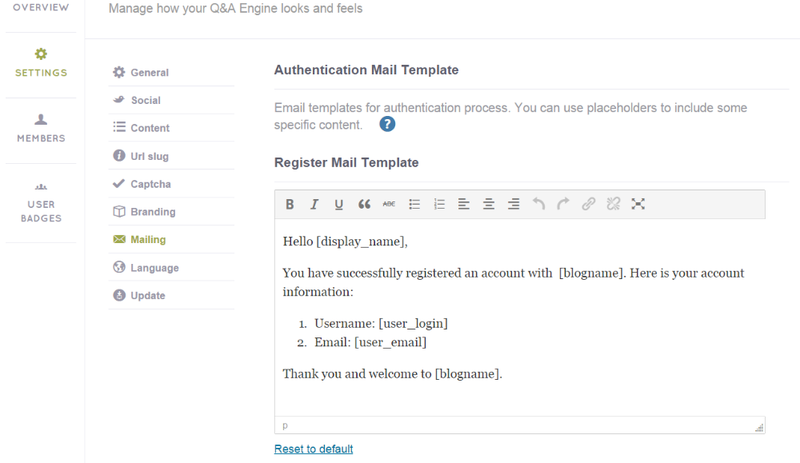 For example, there is a template for register mail in the photo below.